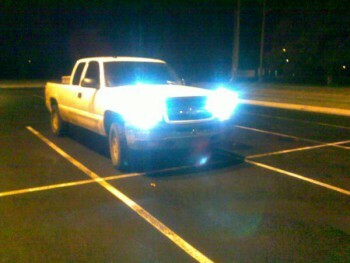 The hottest trend nowadays in headlights is installing HIDs, or High Intensity Discharge lights. Proponents of the new lights say the crystal blue color highlights the road and cuts through the fog better than the typical halogen lights. However, HID opponents say those lights can be blinding in the darkness and make it dangerous when trying to share the road. Many of them are also illegal. Oregon State Troopers pull over drivers daily for the illegal lights, which are most often bought from the internet and installed incorrectly. According to the National Highway Traffic Safety Administration, improperly installed headlights can throw out as much as three times the amount of glare legal headlight put out. Here’s why – think of your headlight like a flashlight, and inside is the bulb. 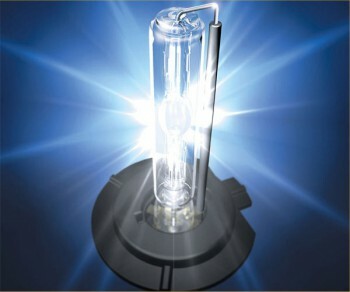 A halogen bulb is shorter than an HID bulb. A longer HID bulb filament widens-out the beam. That sends more glare out of the side of the light, right into drivers’ eyes. Additionally, older drivers are more at risk for being blinded by the ultra-bright lights because the retina in the back of the eye takes longer to recover after getting hit with bright light as you age. According to Oregon State Police Senior Trooper Douglas Brown, the illegally bright headlights can have tragic consequences. So what can you do to be safe? If you do purchase HID lights, make sure they say DOT approved and take them to a certified dealer service center like ours to get them properly installed. If you are blinded by illegally bright HID lights on the road, pull over and the let the vehicle pass if possible. Remember, it’s always better to be safe than sorry. ← Previous Post Why is Tax Season Good?